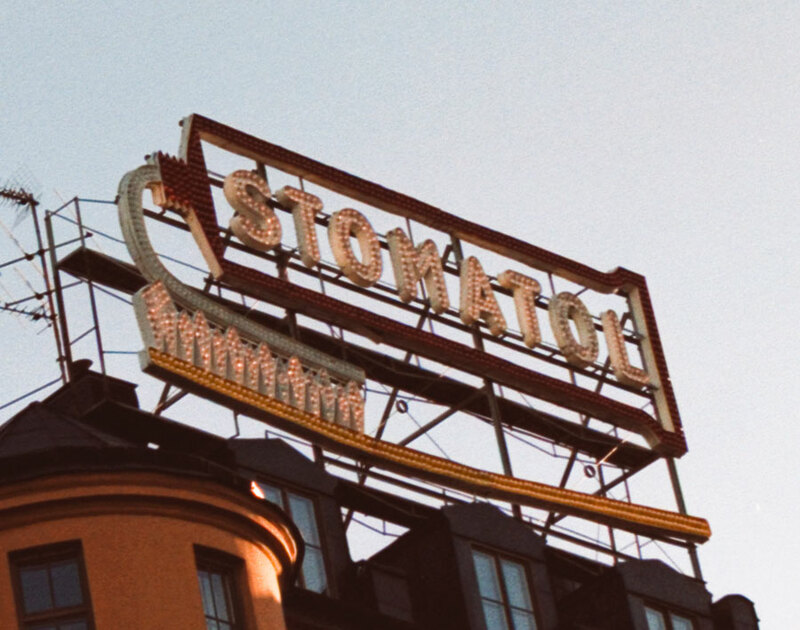 Stockholm, Sweden 60s blinking Stomatol sign. The ubiquitous Los Angeles car wash sign. 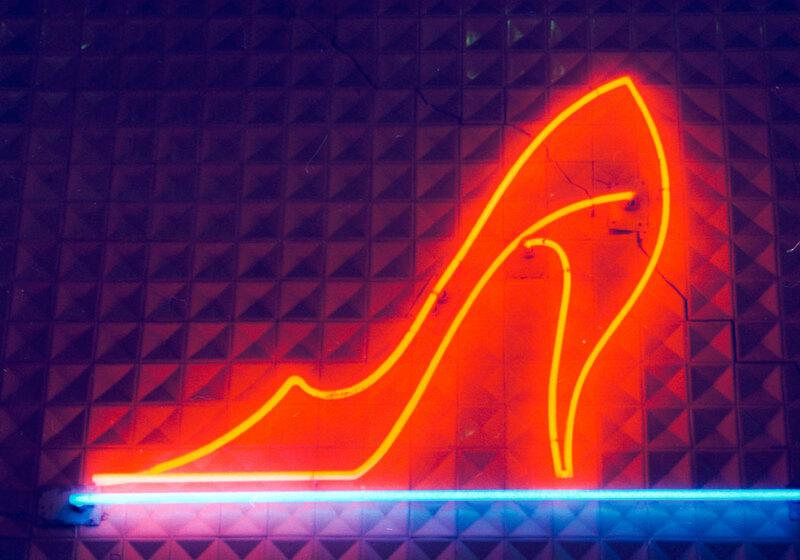 Shot in 2002, this neon shoe was a sign in Lisbon. 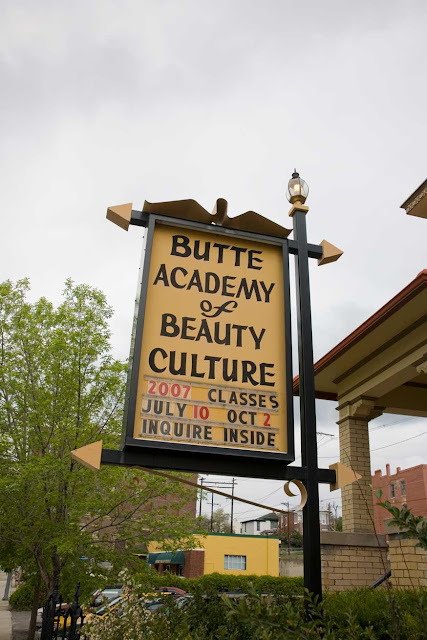 Is this a play on words, or what? 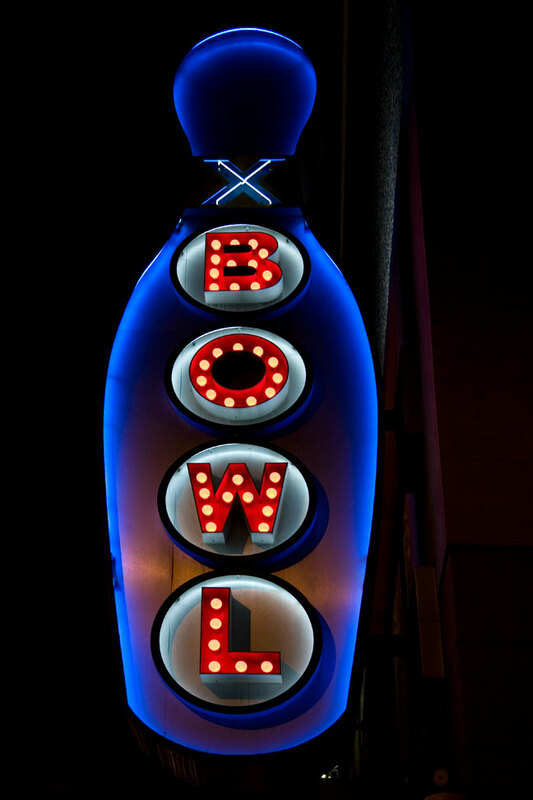 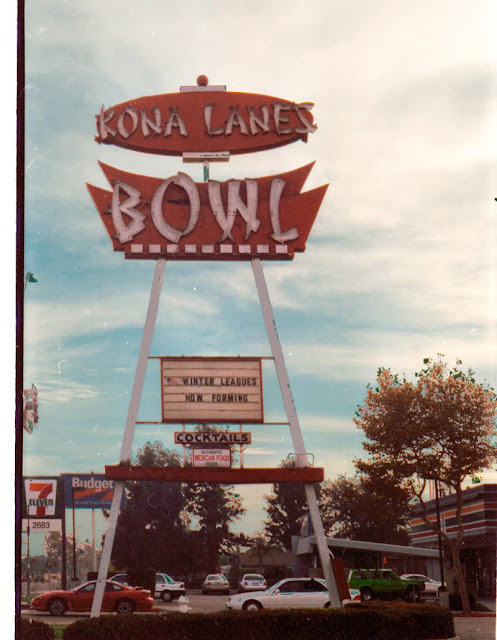 The old Kona Lanes Bowl sign, which was demolished in 2003. It was an Orange County landmark towering above the city of Costa Mesa. 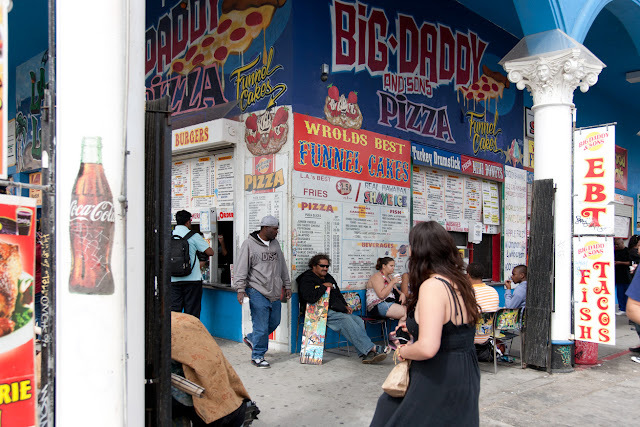 Signs in Venice Beach, Los Angeles. 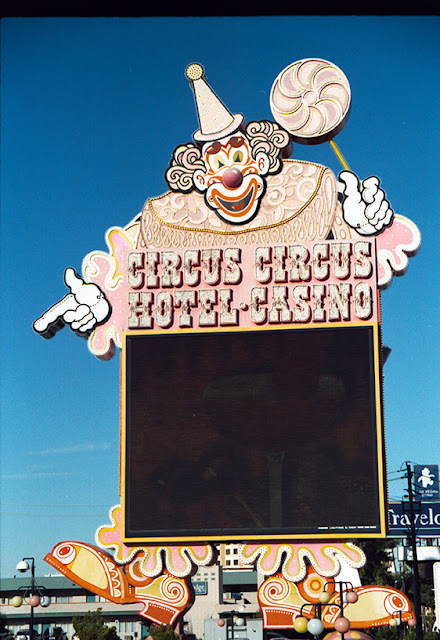 Clown sign at Circus-Circus, an old hotel on the Las Vegas strip. A "BOWL" sign in Hollywood, CA. 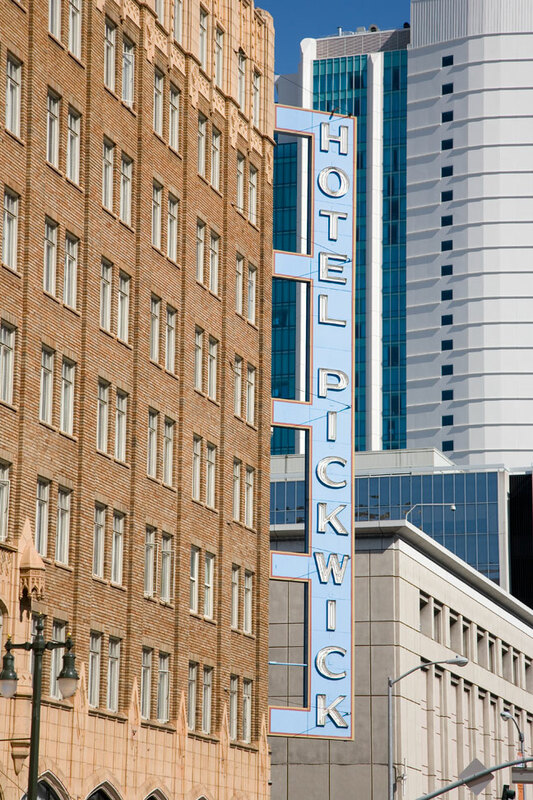 The old hotels in San Francisco such as the Hotel Pickwick have some great signage. 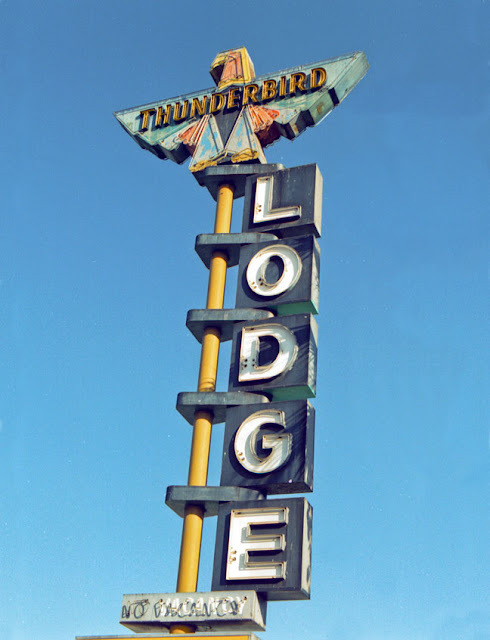 Thunderbird Lodge sign before it was refurbished in 2006. 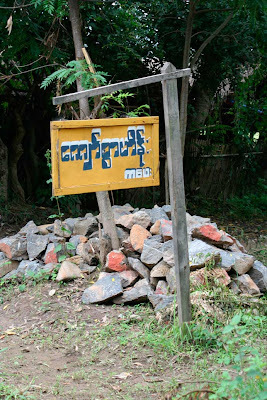 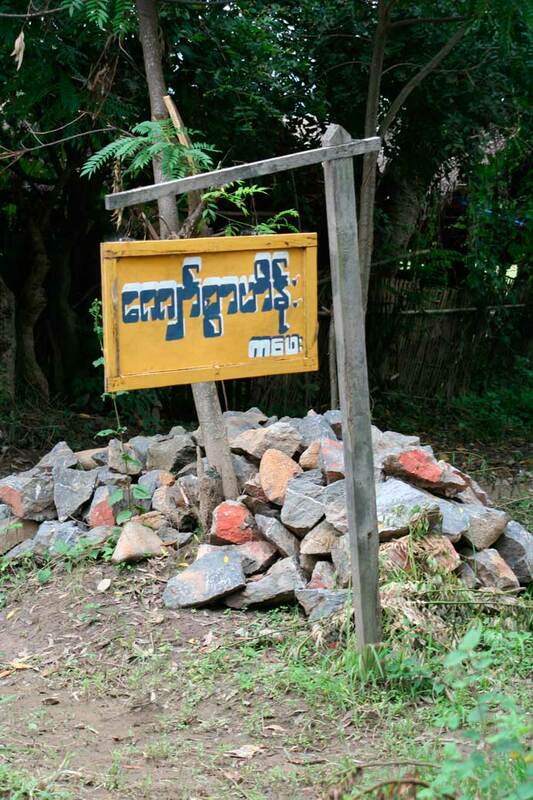 Image was taken in 2005. I love Culver City. 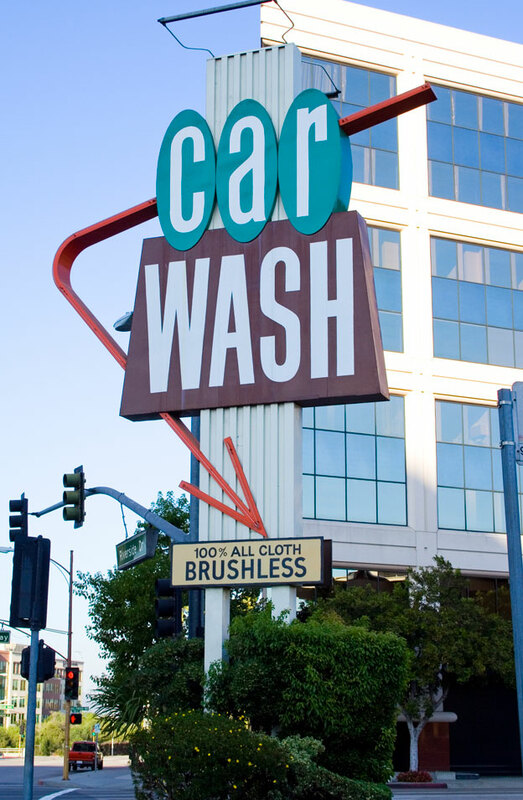 It's my favorite part of LA. 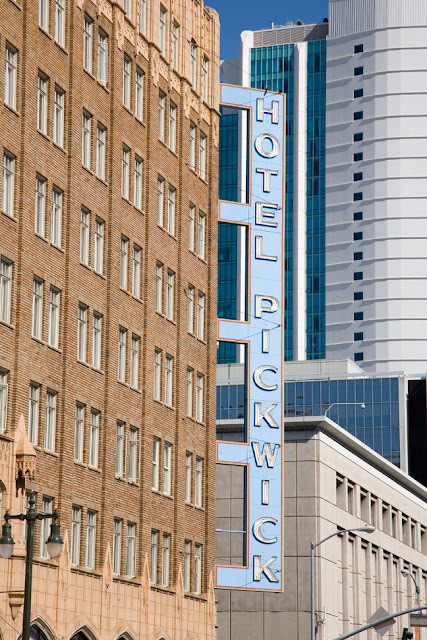 It has a nice downtown, good restaurants and the hotels are cheap. 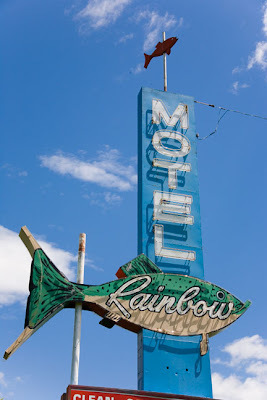 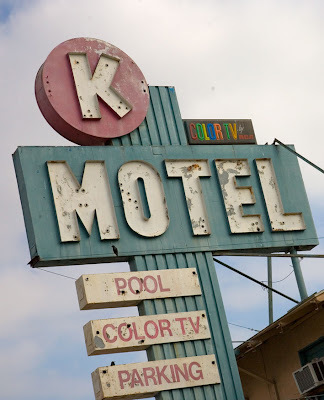 Plus, it has some great motel signs. Took me awhile to figure this one out. 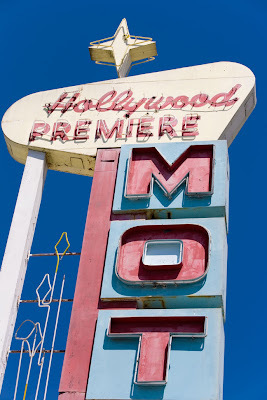 It's a movie theater sign, originally. 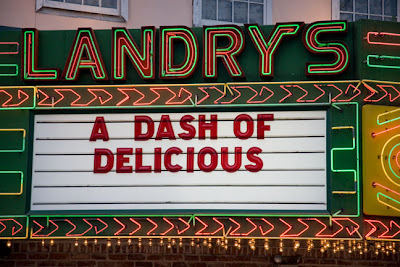 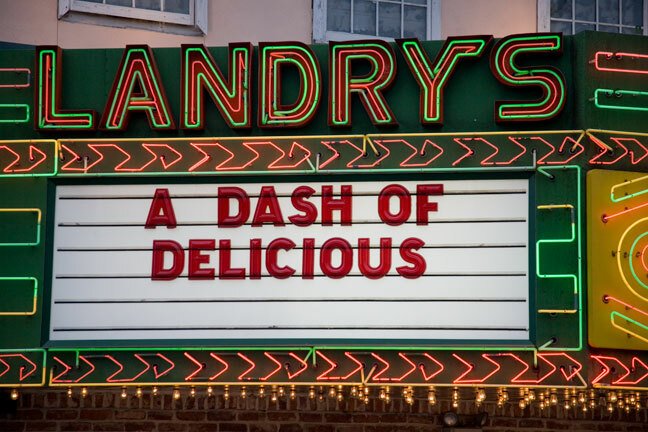 Now it's a sign for the restaurant, Landrys. 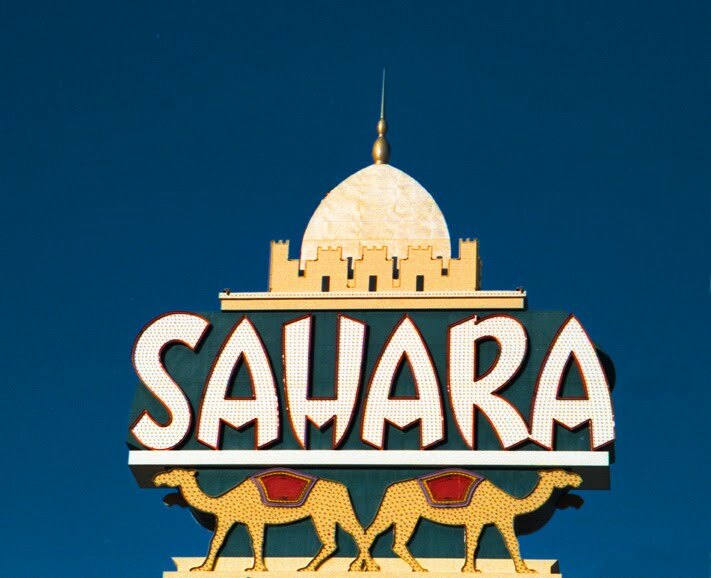 Catch your images of the Sahara Hotel sign and hotel now, as the hotel will close on May 16th. 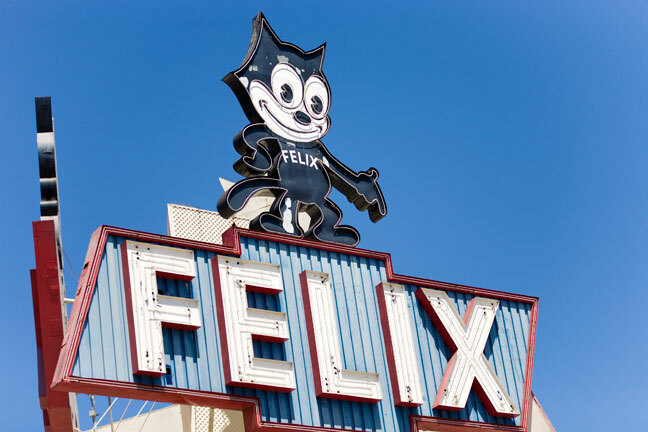 Felix Chevrolet is a classic LA landmark that's been there for decades. 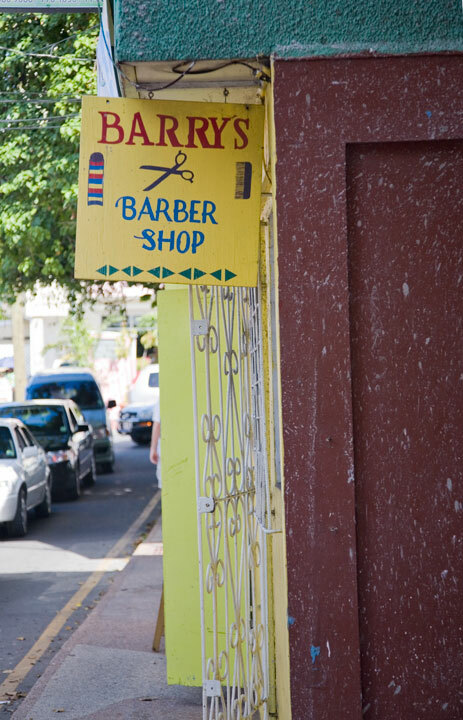 You can tell that it's an established business because it's still open and they have their 1957 sign stands tall and proud. 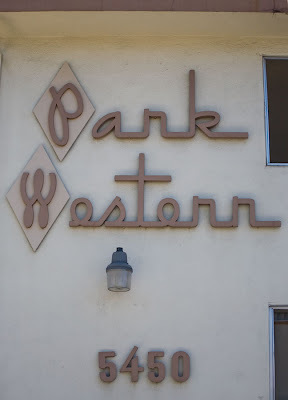 Retro Park Western in LA. 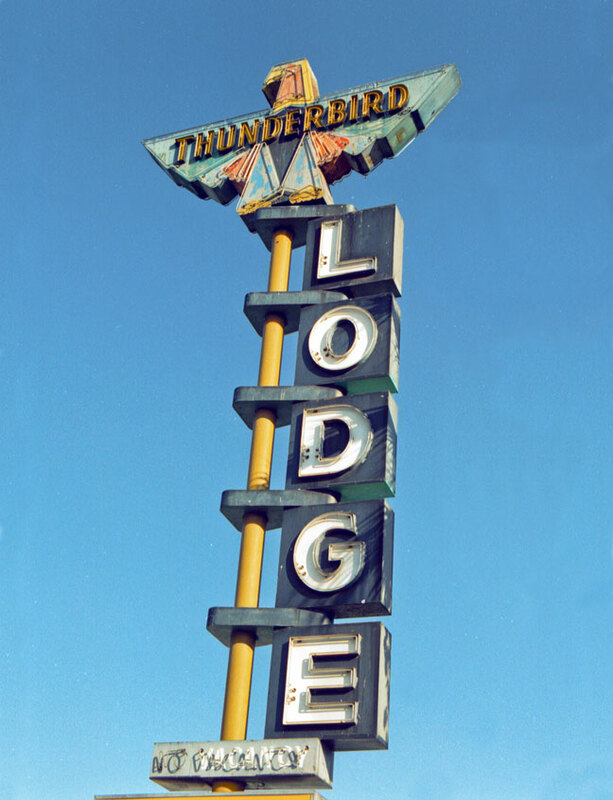 One of many motel signs remaining in Hollywood. The hand-made signs are unique.